A few months ago when we spoke to adidas designers about X15 and Ace15, they assured us there were some “game-changing surprises in store”. Today, adidas announced that the boots that redefined the game are now available with an all new Primeknit construction. *Available for pre-order. See the full collection here. Debuting on the X 15+ Primeknit and ACE 15+ Primeknit, one of adidas’ key technologies has been re-imagined for football to offer more control and more chaos on the pitch than ever before. Both boots get their own unique Prineknit layering. X 15+ has a tight knit upper giving the game’s most explosive players a next generation fit by locking the foot down. A new collar and tongue are made from one stretchable piece. Ace 15+ Primeknit has been redeveloped with a 3D control upper for the perfect first touch in all weather conditions. This new construct forms the forefoot, while the Controlfit collar padding and a reinforced heel counter remain for assured playmaking and unbeatable stability. Once officially released, you can find the entire collection available at soccer.com. So explain how adidas can claim to only have two football boot silos right now when they have the ace, X, messi, gloro, and copa? 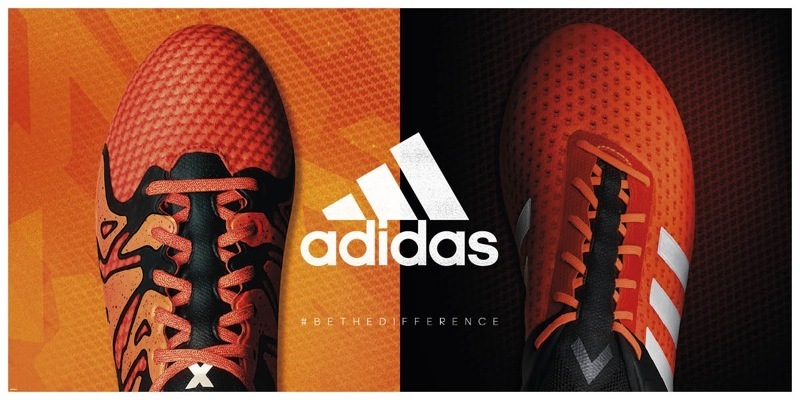 Their mainstream marketing releases are the Ace and X. Messi boots take on their own unique advertising structure. Gloro and Copa sell themselves!